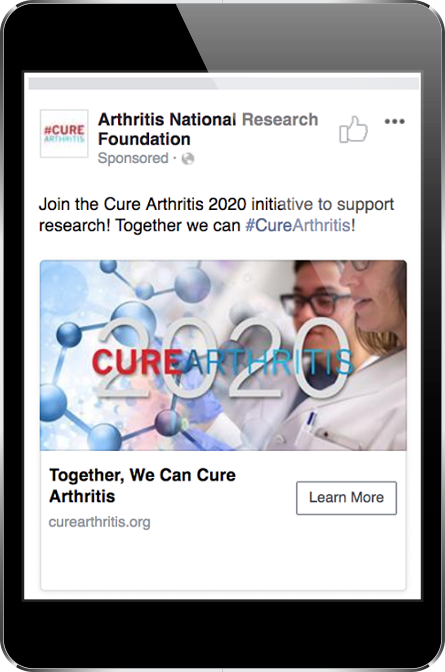 Arthritis National Research Foundation wanted to re-engage their most valuable audiences: past donors and email subscribers. By configuring their Engage and Facebook accounts, Whole Whale was able to feed Arthritis Research Foundation's existing lists of donors and subscribers straight into the Facebook Ad platform. 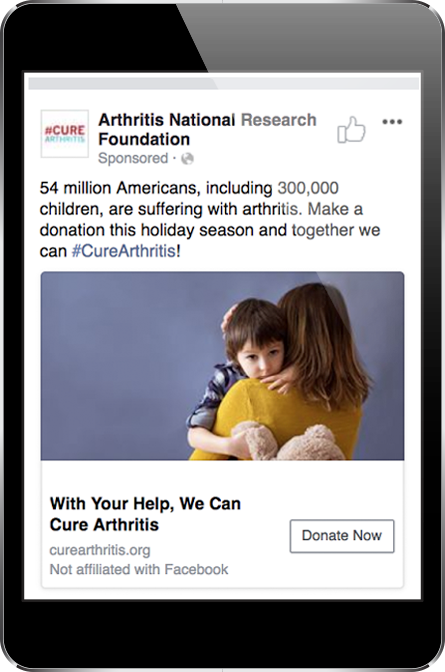 Now, Arthritis National Research Foundation can target this audience with additional donation asks, or create a 'lookalike' audience to reach users that are similar, demographically, psychographically and behaviorally, to their most engaged supporters.  With just $250 to spend on a campaign, Arthritis National Research Foundation was able to reach over 10,907 new users that are most likely to be passionate about their cause and become engaged supporters themselves.